Ben chambers can't see that his life is about to crash and burn. He is content to let things happen; to take life for granted. Then one day his wife tells him that there is a robot in the garden. Ben feels a strange kinship with the dented, rusted, ill made little thing and takes it in, trying to clean it up and find out where it is from. He is so absorbed with 'Tang' that his wife leaving comes as a complete shock. Finally galvanized into action, Ben sets off on a journey across the world with Tang - a quest to find the 'bot's creator and get him repaired before it's too late. This is a story unlike any other. 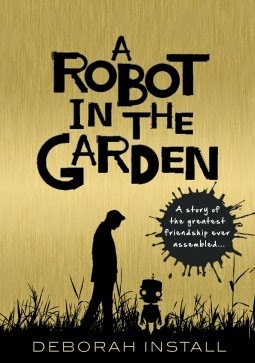 A modern fable about family, loss, friendship, growing up and yes, getting on with things. Ben is a sympathetic character, however exasperating his behaviour can sometimes be. He has allowed himself to stagnate after his parents death, neither moving forward with his life nor growing as a person, he takes his comfortable circumstances and his hard working wife for granted. This is a wonderful debut. Warm, funny, poignant and honest told in an accessible but intelligent way. If you're looking for hard sci-fi you won't find it here - that's not what this book is about. In fact you'll find a few holes if you prod it under a scientific microscope, but then you'd really be missing the point. This is an examination of the flawed but beautiful human spirit and how it interacts with others to become something greater than the sum of its parts. Simply lovely. One to read and reread.